Need a budget-friendly new spot? Though apartment hunting can be challenging, don't despair just yet--there are deals to be had. So what does the low-end rent on a rental in Rittenhouse look like these days--and what might you get for the price? We took a look at local listings for studios and 1-bedroom apartments in Rittenhouse via rental site Zumper to find out what budget-minded apartment seekers can expect to find in this Philadelphia neighborhood. Listed at $990 / month, this 200-square-foot studio, located at 2100 Walnut St., is 17.2 percent less than the $1,195 / month median rent for a studio in Rittenhouse. In this unit, you can expect to find central heating, hardwood flooring and high ceilings. The building itself includes a desk attendant, emergency maintenance and a fitness center. Pets aren't allowed. 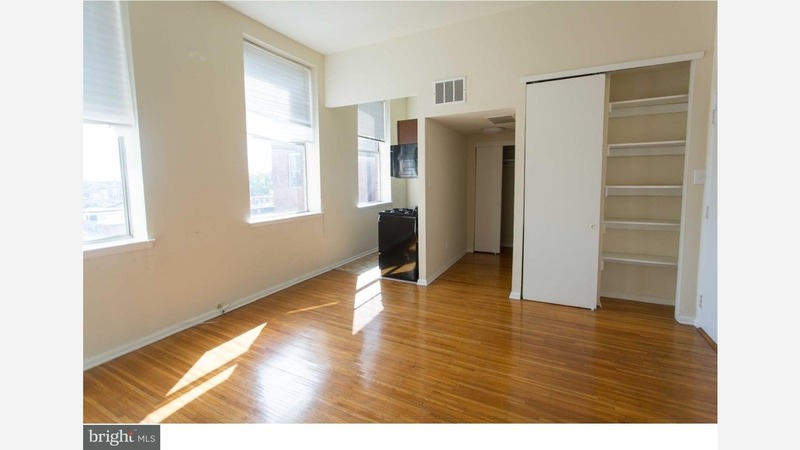 Here's a studio apartment at 1734 Spruce St., which is going for $1,095 / month. Tenants can expect an oven, a dishwasher, hardwood floors and closet space. The building includes emergency maintenance and on-site laundry. Cats and dogs are welcome. Then there's this apartment at 1616 Spruce St., also listed at $1,095 / month. In the unit, the listing promises hardwood floors and a refurbished kitchen with a dishwasher. The building offers on-site laundry. Pet lovers are in luck: cats and dogs are welcome. Listed at $1,155 / month, this 400-square-foot studio is located at 2311 Spruce St. In this bright unit, you'll find air conditioning, hardwood flooring, stainless steel appliances, a dishwasher, granite countertops and storage space. Animals are not welcome. This 1-bedroom, 1.5-bathroom, apartment, situated at 1720 Lombard St., is listed for $1,165 / month for its 500-square-feet of space. In the unit, you'll find air conditioning, plenty of closet space, hardwood flooring and a full kitchen. The building boasts on-site management and a fitness center. Neither cats nor dogs are allowed. And here's a 1-bedroom, 1-bathroom apartment at 2011 Spruce St., which is going for $1,200 / month. In the furnished unit, you'll find in-unit laundry, hardwood floors, a fireplace, a dishwasher and stainless steel appliances. Neither cats nor dogs are welcome. Listed at $1,275 / month, this 1-bedroom, 1-bathroom apartment is located at 320 S 15th St. In the unit, you're promised hardwood floors, two decorative fireplaces, a full kitchen and closet space. The building features on-site laundry and storage. If you've got a pet, you'll be happy to learn that cats are welcome.